A great deal of attention has been devoted to risk research. Sociologists in general have limited themselves to varying recognitions of a society at risk and have traced out the paths to disaster. The detailed research has yet to be undertaken. 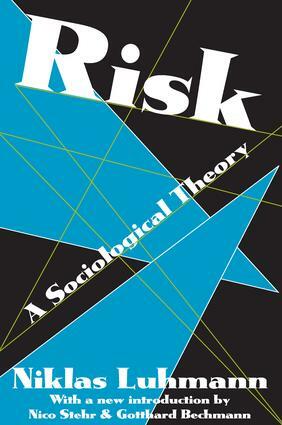 In Risk, now available in paperback, Niklas Luhmann develops a theoretical program for such research. His premise is that the concept of risk projects essential aspects of our description of the future onto the present. Risk is conceived as the possibility of triggering unexpected, unlikely, and detrimental consequences by means of a decision attributable to a decision maker.